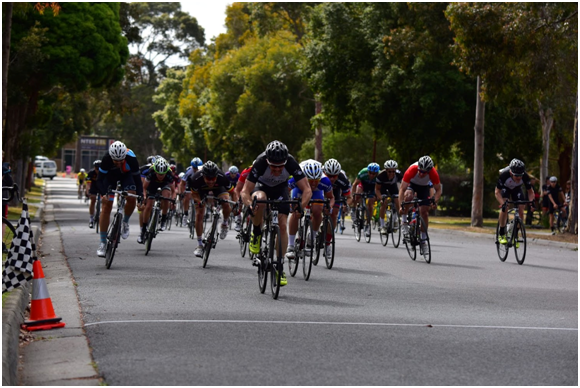 A few weeks back I was finally able to secure my first ever B grade win at the Glenvale Criteriums, hosted by Caulfield Carnegie Cycling Club. After placing somewhere between second and fifth place more than half a dozen times over the last two seasons, this win finally got me the promotion I’d set out to achieve back in 2012. One of the biggest mistakes I made when I got into B grade was to let myself get intimidated by the change of environment. Whilst I had the ability to climb the ranks from D grade to B grade rather quickly, when I hit B grade I started feeling quite out of place. There were teams and guys who looked like they were serious riders. Moreover, the overall pace was a pretty big jump. While I have no doubt that the top 10% of B grade riders are stronger than the bottom 50% of A grade riders, really, I was getting flustered and disillusioned for no reason. 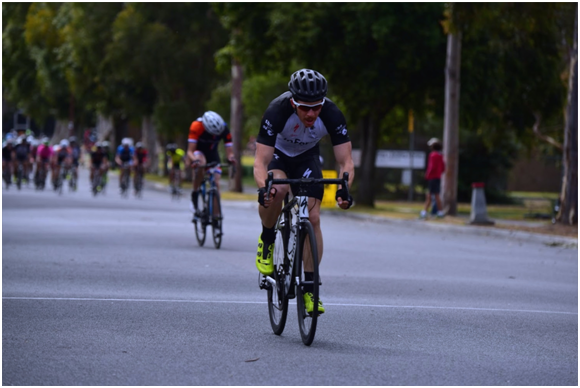 It actually wasn’t until this year’s crit season that I went into races with confidence. Firstly, I’d been riding B grade on and off for three years, so I was starting to know the riders and also how to read the bunch. But perhaps most importantly, the training company I have been working with since May of this year put a few things into perspective, allowing me to see the bigger picture. As a result, my confidence grew significantly, which impacted on my mindset going in to each race. In previous years I had inadvertently let the bunch take control on the bell lap leaving me nowhere to be seen at the finish line. This year, my confidence has allowed me to take control of the final and most important stages of the race, putting me in a position to get the results that I wanted. Looking back, I wish I started B grade with a different mindset. Forget what the other riders look like and what teams there are. Just focus on your own ability and remember: just because someone looks fast, it doesn’t necessarily mean they are! At the start of 2012 I decided I wanted to have a decent crack at getting into A grade. At the time I had achieved a couple of minor placings in B grade but nothing decent, so I decided to get some help from a professional training organisation. While doing group rides with mates was a lot fun and it kept me fit, my form fluctuated and it clearly wasn’t making me stronger. 1. 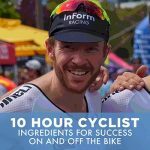 I went into it alone – I certainly feel that when you’re training for an event or looking achieve a specific goal, particularly when cycling isn’t your profession, having other people to train with makes a world of difference. Unfortunately, I didn’t have that team around me. The training organisation I used sent me a twelve-week program in four-week blocks, so when I went to follow the instructions, I quite often got distracted by a mate saying, “come on, let’s just go do the group ride”, or some personal distraction would pop up. I was very unengaged with the program and I had no support crew to help me through it. 2. Unengaged coach and poor program – Unfortunately, the specific program I signed up to did not offer any group training rides and the program seemed to be very generic, which was all sent and delivered over the internet. On top of this, the instructor I was dealing with was perhaps the most un-engaging sporting coach I have ever come across. There was no useful advice or words of motivation over our weekly phone calls or emails. In fact, on the odd occasion I would tell him that I had just completed a race, and there would be complete radio silence at the other end of the phone – Hello McFly! Anybody home? Overall, it did nothing to get me fired up and training the way I could have been. – Doing loads of work at the front of the peloton at the start of a race and burn energy for no reason. – Helping the peloton catch a break, when I wasn’t even in a team! – Doing turns at the front on the last laps – burning all my energy before the sprint. – Riding off in breaks with two to three riders, which is highly likely to be caught. You name it, I did it, for reasons I can’t explain. I wish I could get in a DeLorean, go back in time, and shake myself, saying – “what the hell are you thinking”. What I should have done from the outset was work out my strengths and weaknesses as a rider. Once established, I could then use those parameters to identify the best strategy and stick to a specific plan at every race, no matter what. Sure, a race isn’t always going to end up in your favour, but there will be times when it will. And the more times you can get yourself in a favourable position, the more times you’re going to end up with an opportunity. Riding sporadically with no plan will leave you nowhere, as it did with me for a number of years. 1. Structured training has conditioned my body to prosper under race conditions. 2. Weekly group rides ensure you get out of bed and on with the job. 3. Education about racing tactics and how to conserve energy, i.e. where to sit in the bunch and when to look for an attack etc. 4. The ability to focus on my own capability and what type of race plan may best suit my overall strengths. 5. General motivation to keep me on the path to success. 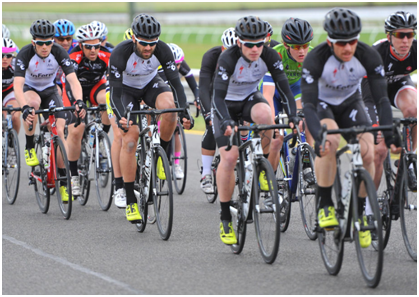 Riding with team members in B grade at Sandown Race Course. I found likeminded people by joining a team (InForm Racing), but you may not have to join a team to find other likeminded cyclists. 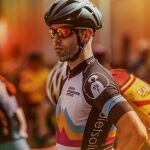 Connecting with other riders who share similar goals and a passion for cycling will help you immensely with motivation and being able to stick to a relevant training plan. Before I joined InForm Racing, I knew that bunch rides and inconsistency in my training would have an effect on my performance, but without anyone to join me on specific training rides, it became very hard to drag myself out of bed and do hill repeats. It’s also hard to fit in 250-350 kilometers a week without any support, particularly if you already have a busy lifestyle. Joining forces with friends, a team, a coaching group or even members of your local cycling club will help you to be more consistent and specific with you training. Riding off the front for a few laps. I took off when the bunch had just caught another break, hitting them when they were most vulnerable. DO – understand your ability and have a race plan. I’ve read articles in the past that discuss having a race plan, but rarely do they emphasise the fact that you should understand your own ability before developing a plan. In my opinion, the best way to understand your own ability is to use and train with a power meter (see a previous article here), which will help you ascertain your strength over specific time periods. For instance, you can learn how powerful you are over short and long time periods measured in seconds, minutes or hours. Once you know where your strengths lie, you can develop a plan that works best for you (and then stick to it!). Using myself as an example, I found out that I have no kick or sprint, but my five to twenty minute power output is quite good. Therefore, the best scenario for me is to either attack off the front with about five to ten minutes to go, get in a breakaway, or if I end up in a bunch sprint, try and hit everyone early and just hope that I hang on for dear life. In fact, the latter was how I won my B grade race. I went off the front with about ten minutes to go, but could only last roughly four laps before a break reeled me back in. 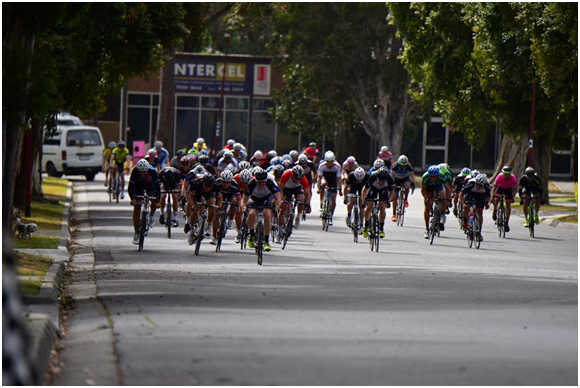 A couple of minutes later, with about three laps to go, the bunch caught the break. Luckily, I had just enough time to recover before I hit everyone at the last corner of the last lap. I was obviously sitting near the front of the peloton at the time, so just coming out of the last corner – rather than try and grab a wheel – I put as much effort through the crank as I could, generating a gap big enough for me to hang on to. Without understanding my ability, I probably would have tried to grab and wheel, and subsequently lost out in the sprint. The finish line…another ten to fifteen metres and I would have been caught! But this was my day – good timing, tactics and grit got me there. 1. Pick a club race you like and stick with it. For a while, I was not only racing inconsistently, but I was also swapping in-between different club races. This makes it hard to learn the course, the riders, and give you the ultimate ability to place consistently enough to get a promotion. So pick one club you like and stick with it. 2. Learn who the good riders are in your grade. Watch them during the race, stick close to them and study their movements. 3. Outside of your race plan, practice conserving as much energy as possible. In particular, learn to hold the wheel coming out of corners. You can lose a lot of energy chasing down wheels. 4. Be safe and courteous to other riders. We’re all in it for a good time, so let’s not forget that. 5. Be supportive to the club you ride for and with. There’s a lot of effort and volunteering that goes on behind the scenes to allow us all to ride, so make sure you’re thankful every time you collect your race number. Do you have anything to add? Please leave your questions and comments in the comment section below. Can you follow Heart rate instead of power meter? You can certainly use HR as a measure during a race to gauge your limits. For training effectiveness, however, we would not recommend a HR monitor as your main measurement. You should read our article on Training with Power that will explain things for you clearly. Hi Cam, I’ve recently been bumped up to A at Glenvale after a string of podiums in B and am getting whacked each week, especially yesterday… Feeling defeated and exhausted just for a DNF is very mentally taxing and I’m wondering if it’s worth it. Any chance we can have a similar article to the above about the (huge) jump to A? I found myself in a similar position to you when I was promoted to A Grade. Some very good advice I received (from experienced A Graders) was to hang in there and just try to make it a little further each race. What I found is that in B Grade I didn’t need to conserve energy and when I was promoted I learned (very quickly) how to conserve energy and survive. Hang in there, you will succeed!